Karen Carpenter was one half of the sensational 70s musical group ‘The Carpenters’. She died in 1983 at the age of just 32. The cause of death was a heart attack, which was brought on by complications related to the eating disorder anorexia nervosa- which was little known at the time. She was a "chubby child" and her doctor put her on a water diet to lose weight. Losing weight became an obsession, and at her lowest point she weighed just 80 pounds. Her death brought worldwide attention to this potentially life-threatening disease. American actress Tracey Gold’s battle with anorexia nervosa and bulimia hit the headlines when she took the lead role in a TV movie titled, “For the Love of Nancy". She played a girl who was struggling with anorexia, whilst she was actually recovering from it in real life. Tracey is mostly known for her role as Carol Seaver in the sitcom ‘Growing Pains’. She began her struggles with anorexia at age 12 and then later relapsed in 1988 at the age of 19. At one time she nearly starved herself to death. Her family and friends encouraged her to get treatment and she is now healthy, and happily married with children. Fiona is a singer-songwriter who developed anorexia nervosa after being raped outside of her home when she was just 12 years old. 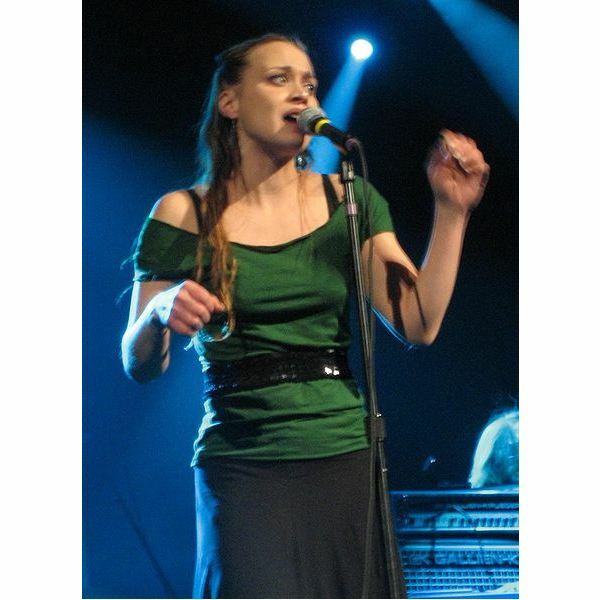 Fiona Apple has also admitted to self-injuring herself in the past. Former ‘Spice Girl’ Victoria Beckham, also known as Posh Spice, has admitted she came close to being anorexic. In 2003 she told ABC’s 20/20, "I was very obsessed. I mean, I could tell you the fat content and calorie content in absolutely anything." She has also said her obsession with weight started when the Spice Girls were being pressured to be thin. Jane Fonda was one of the first women to speak out about having an eating disorder. She began her battle with anorexia at age 12 and it lasted for more than 30 years. She once said, "For 25 years, I could never put a forkful in my mouth without feeling fear, without feeling scared. This feels like one of those Alcoholic Anonymous meetings…but instead it’s, ‘I’m Jane Fonda and I’ve been bulimic and anorexic for 25 years of my life." The actress has spent considerable time trying to raise awareness of eating disorders. Alanis Morissette is a popular Canadian singer whose most successful album was her worldwide debut release ‘Jagged Little Pill’ in the 90s. She wrote a song called ‘Perfect’ on that same album which is about her recovery from an eating disorder she had been struggling with from the age of 14 until she was 18. She told one reporter that at the time she felt she had to adhere to a standard of beauty. A friend confronted her about her weight loss, and ever since the singer has adopted healthy eating habits. Lacey is a professional dancer and has been on ‘Dancing with the Stars’ for a umber of seasons. Her most memorable season was perhaps in 2008 when she partnered former N’Sync member Lance Bass. Lacey developed anorexia when she was just 13 after training for 10 hours a day as a dancer. She has spoken out about her struggles and is now working hard to help others who are suffering from the disease. Women and girls of all ages struggle with eating disorders and it doesn’t always stem from the same things. For instance, some people become anorexic because of the pressure to be thin while others have had traumatic experiences at some point in their life that triggered the disease. Anorexia nervosa is a very serious disease that can be treated, but if left untreated could result in death.